The Easter Bunny bot has been! How Do I Get A Bot? Let us know what you’re after. We’ll create every bot to your request and theme. 3. Get ready for a robot delivery! *Prices not including postage and packaging. SCREWED ships from the UK. 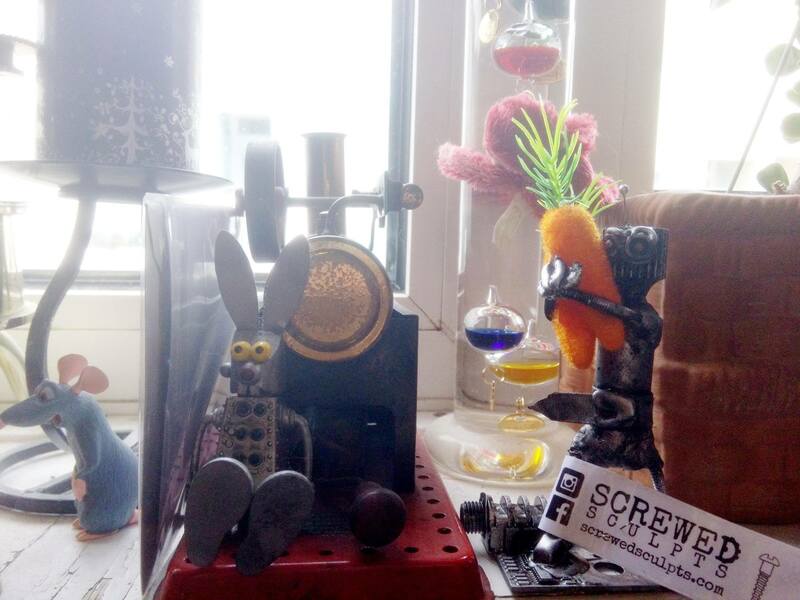 SCREWED creates bespoke, upcycled models for individuals and/or organisations. Models range from small affordable miniatures, to larger custom ‘statement’ pieces such as for business receptions or events. Whatever your robotic needs… you’ve come to the right place. How Do I Care For My Bot? Keep it away from heat! Our bots don’t like heat, it fries their circuits and melts their joints! Avoid water and damp. As some of our parts may be metal, they can be vulnerable to rust. At SCREWED we believe rust is a sign of beauty and not decay. But, if you’d like your bot to stay pristine, keep it away from water and damp! Remember it’s a model, not a toy. Treat your bot like a model or art piece, not a toy. Our bots won’t take being dropped or bent so keep them safely away from ledges and little hands. Our robots contain both small and sharp parts. Please keep them away from children.